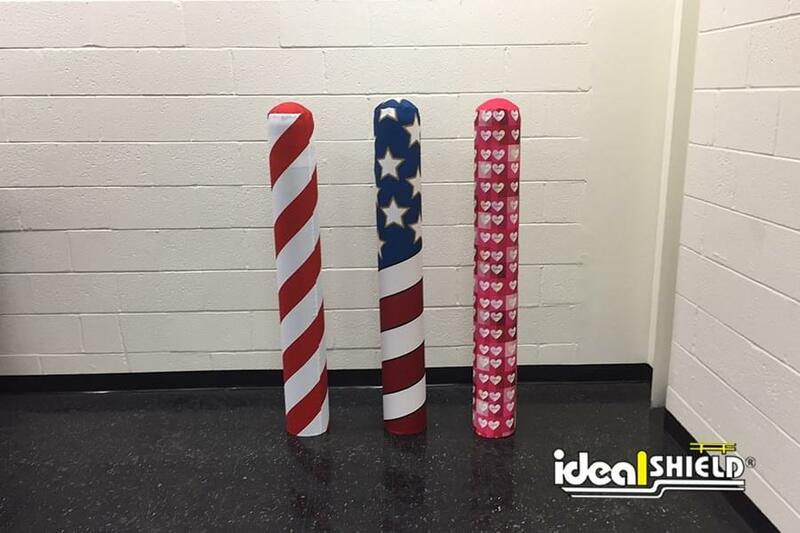 Add some festive flair to your bollard posts with the AdShield Fabric Bollard Covers! 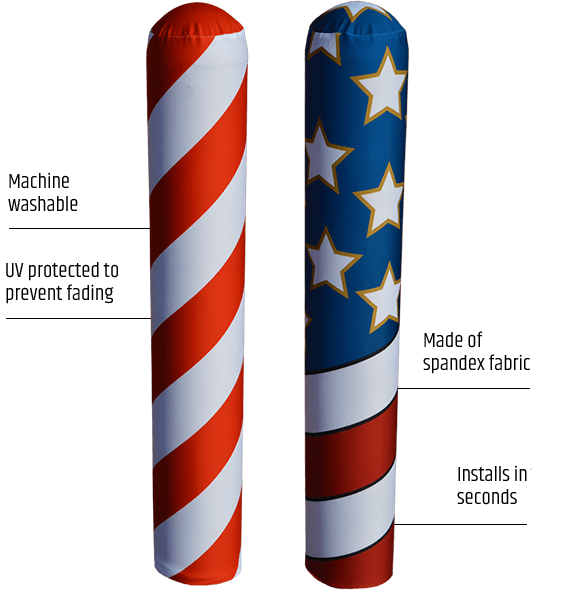 Made from a stretchable spandex-like fabric, the AdShield is a removable fabric bollard cover that can comfortably fit over 6” x 59” bollard posts or bollard covers. 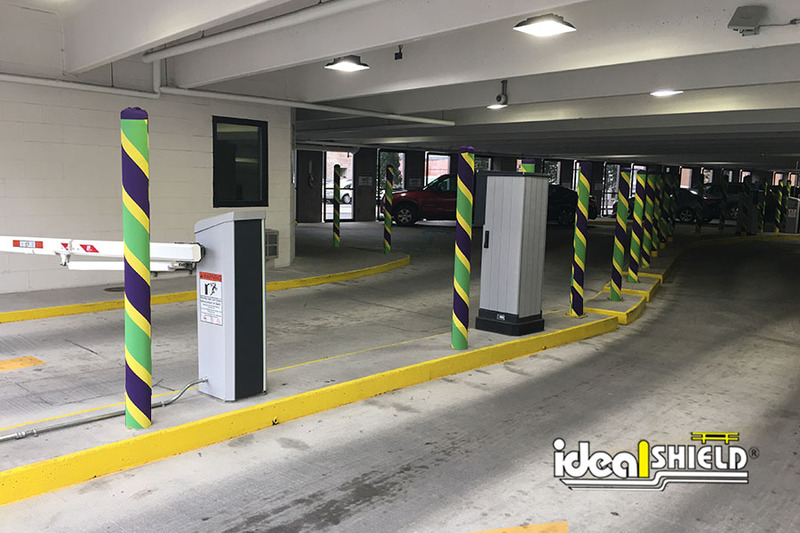 It can be installed in seconds by sliding over existing bollards. 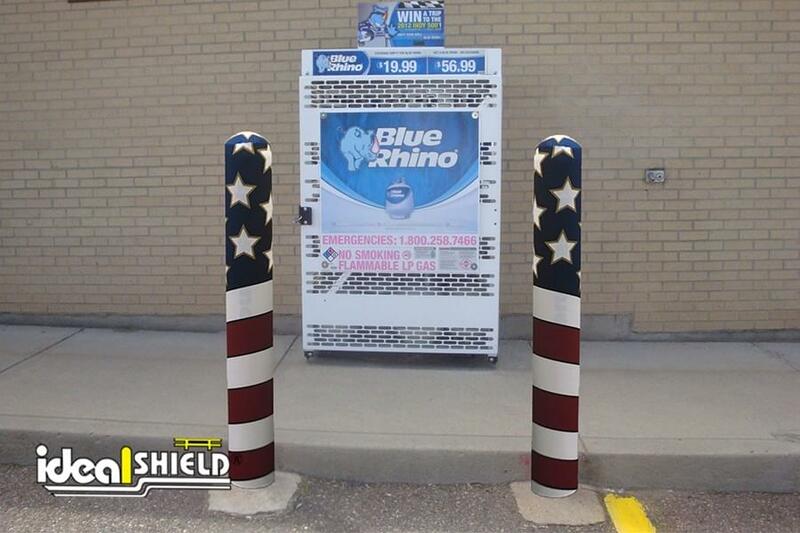 Our AdShield Fabric Bollard Covers are machine washable (inside out, delicate cycle, cold water, nonabrasive detergent). 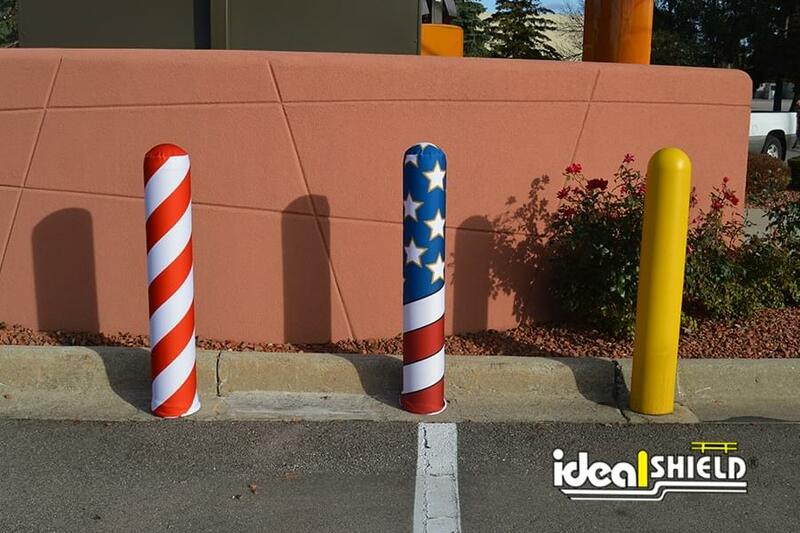 If you’re looking to catch some attention with the bollards at your business, facility or campus for a new promotion or spread some holiday cheer around the 4th of July, Christmas, New Years, Flag Day, Veteran’s Day, or any other day, this is just the thing. 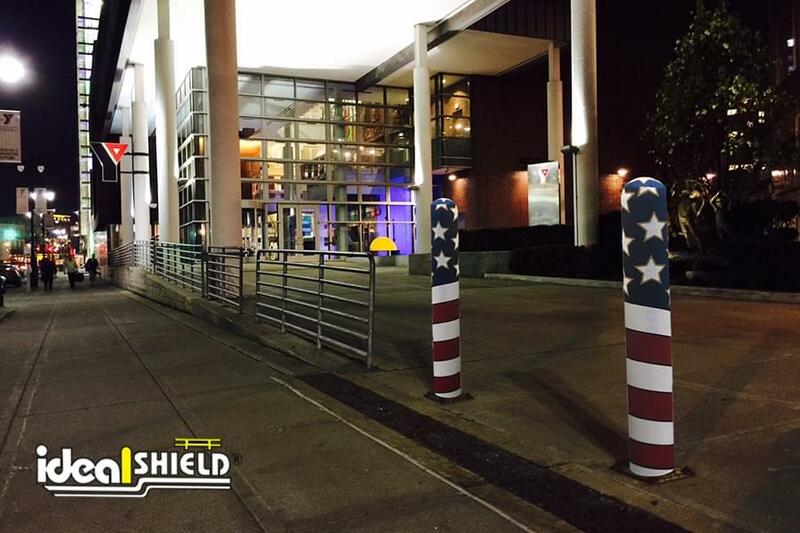 Contact us today to learn more about our AdShield Fabric Bollard Covers, as well as the custom design options. 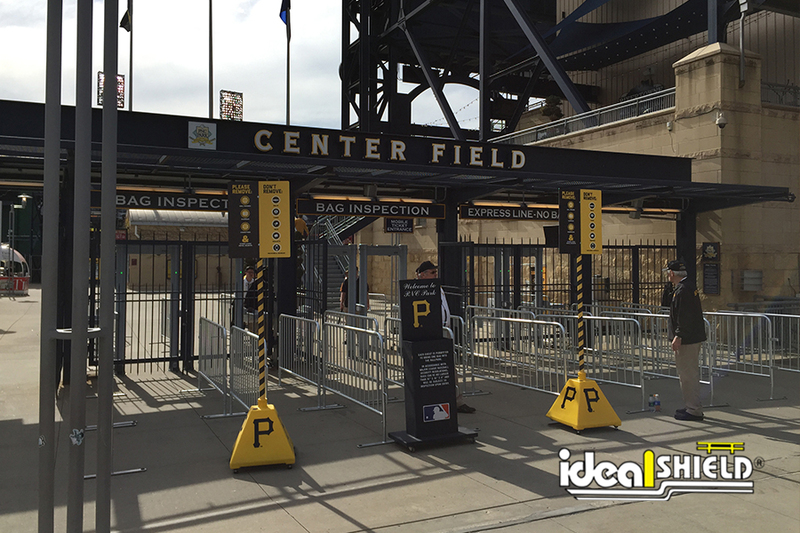 Looking to add some Bollard Covers to the order as well? Ask about our bundle deals! 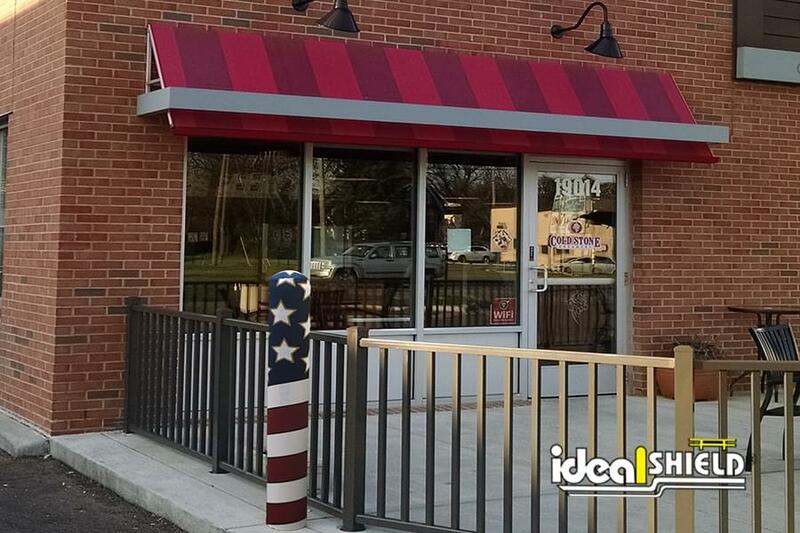 Candy Canes, Stars & Stripes, etc. 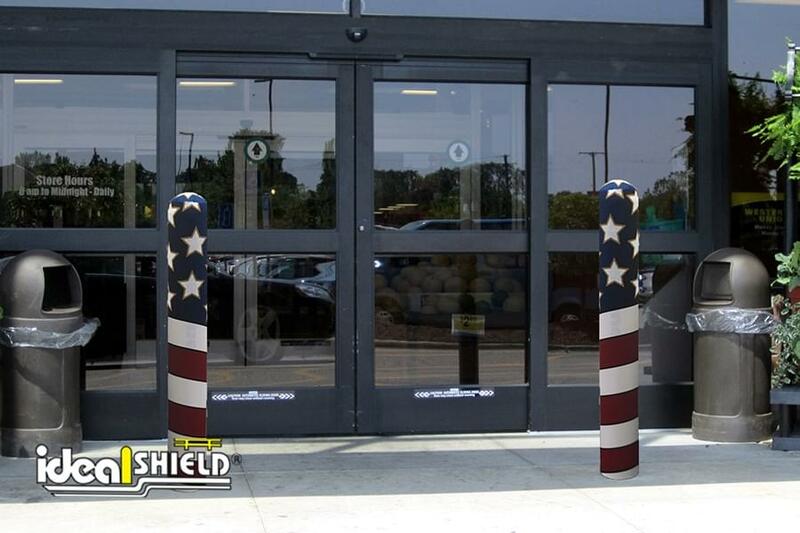 The AdShield fits over existing 6″ bollard covers. 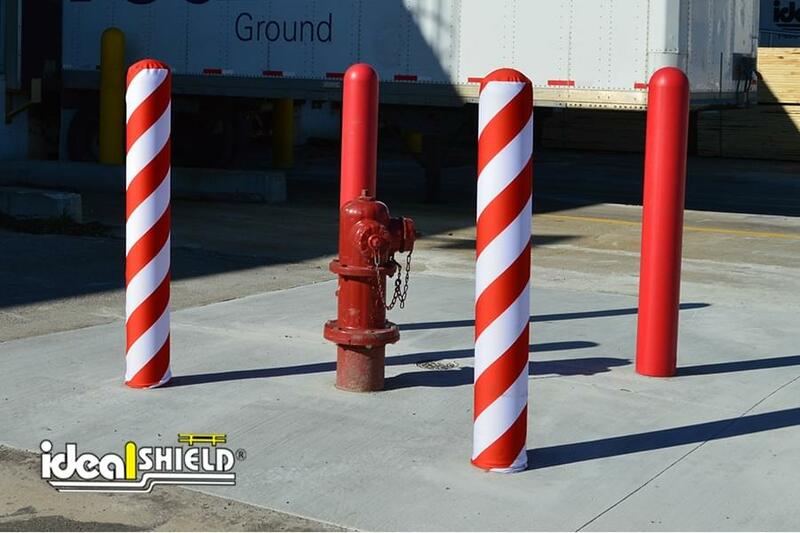 This product will fit over uncovered 6″ bollards but fits best over existing 6″ dome top bollard covers up to 59″ tall. 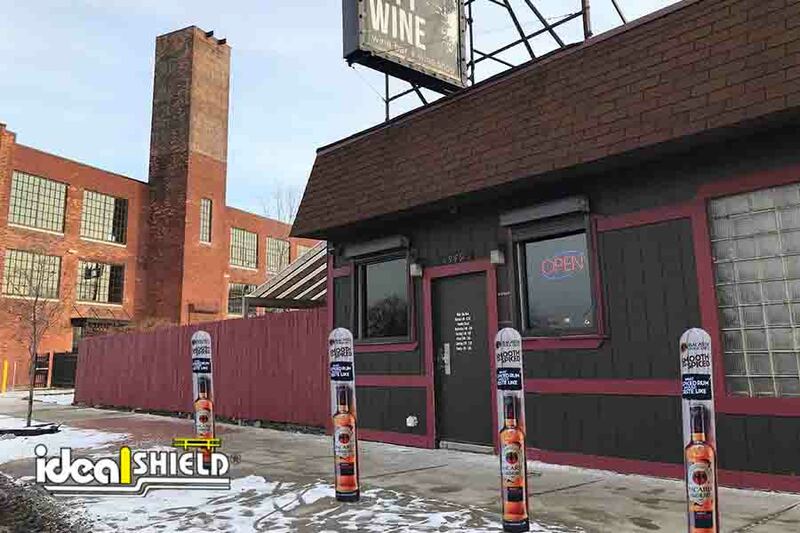 What is an AdShield cover? 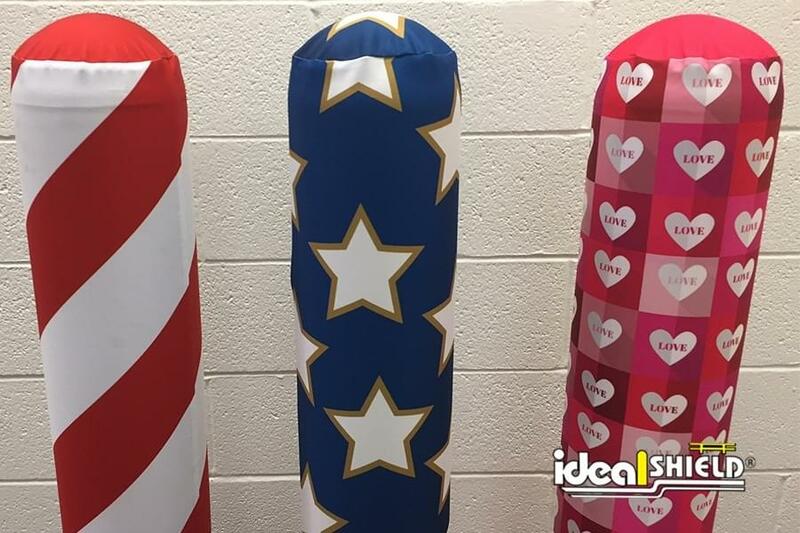 AdShield covers are temporary fabric bollard covers used for festive holidays or branding/sale purposes. 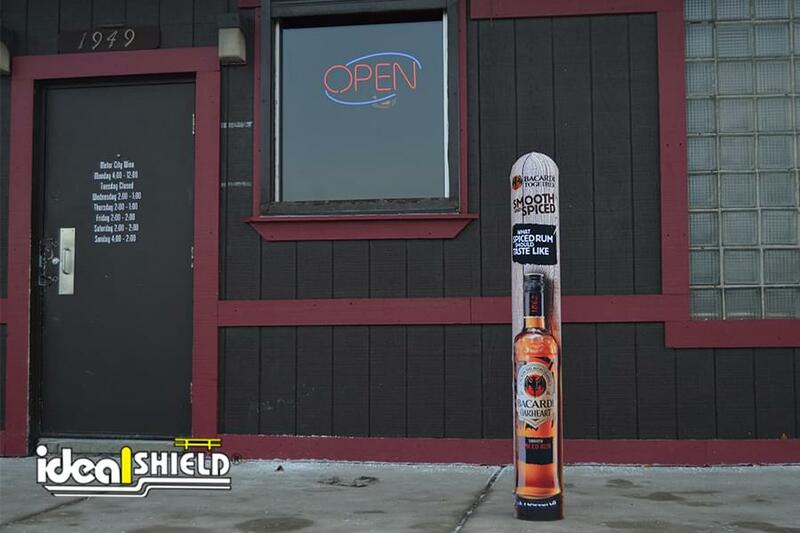 Will an AdShield fit over my pipe even if I don't have a plastic bollard cover? Yes! 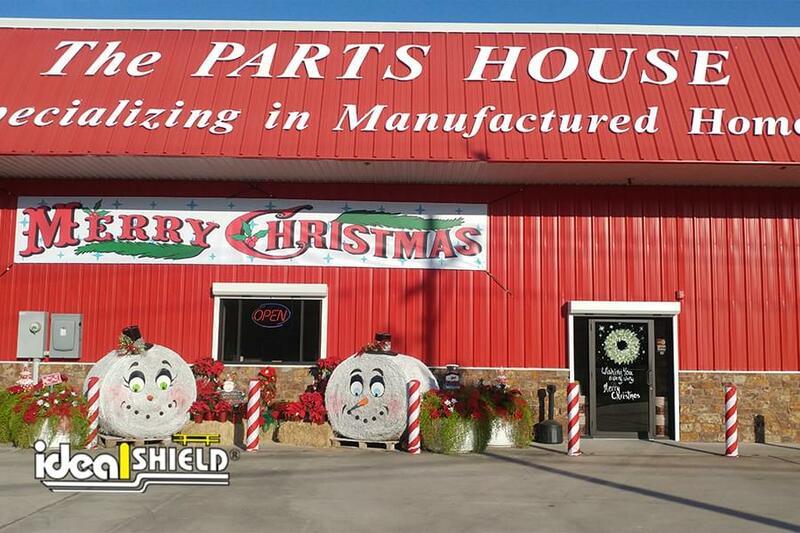 And ask us about our bundle deals including plastic covers and AdShields. Do you have any sizes other than 6"? 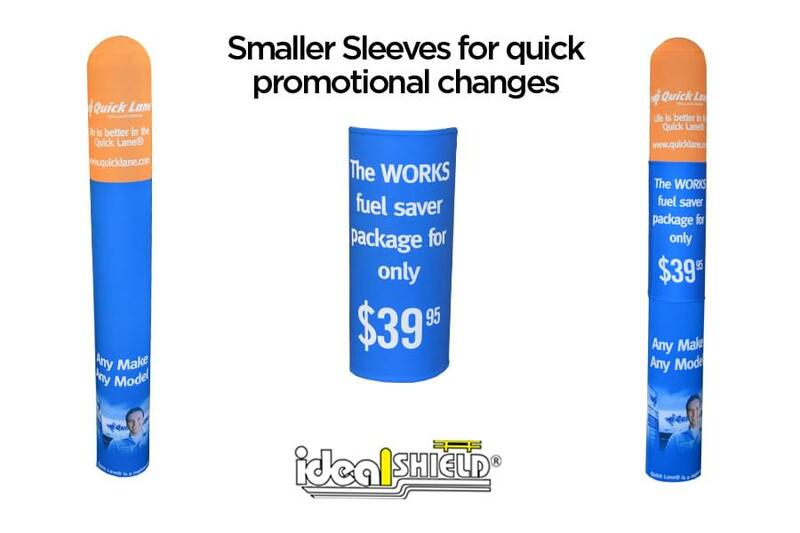 We can do 4" in quantities of at least 25.